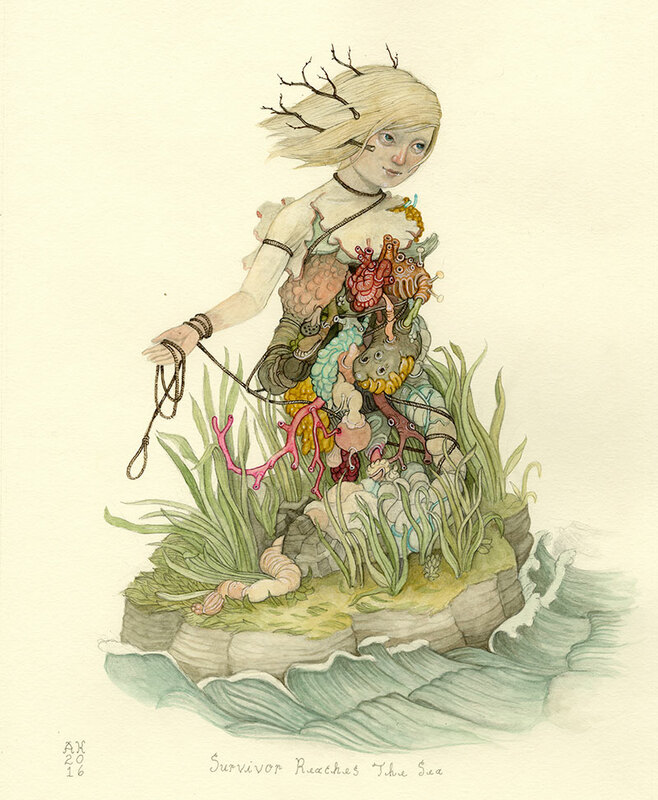 Mixed media illustrations of fairytale imagery with their innards exposed by Minnesota-based artist Alex Kuno. 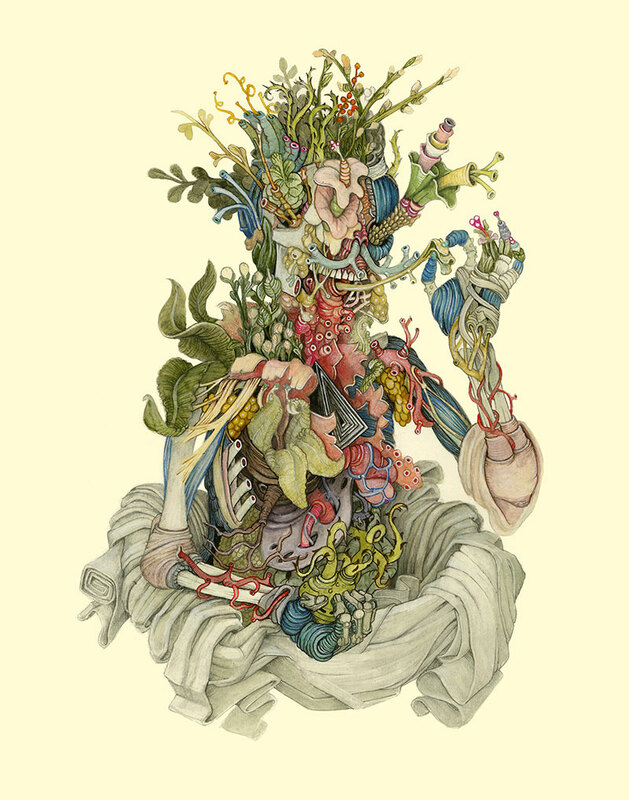 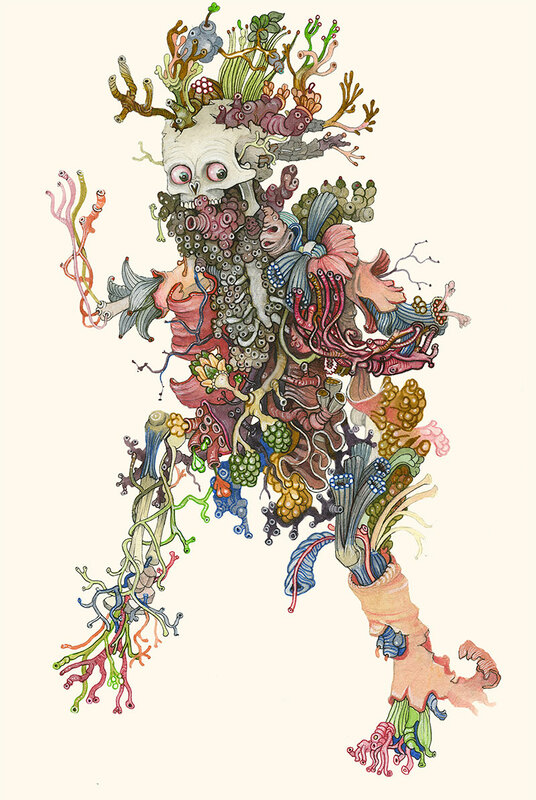 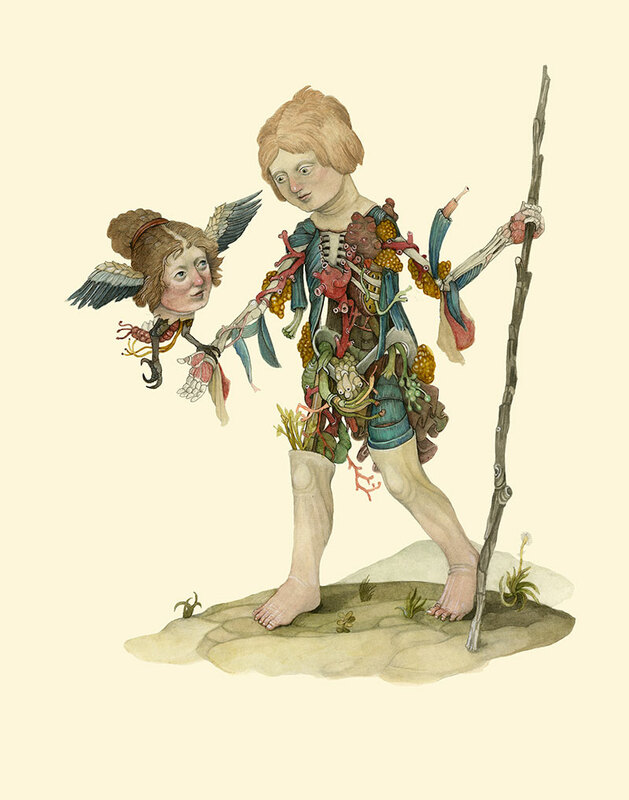 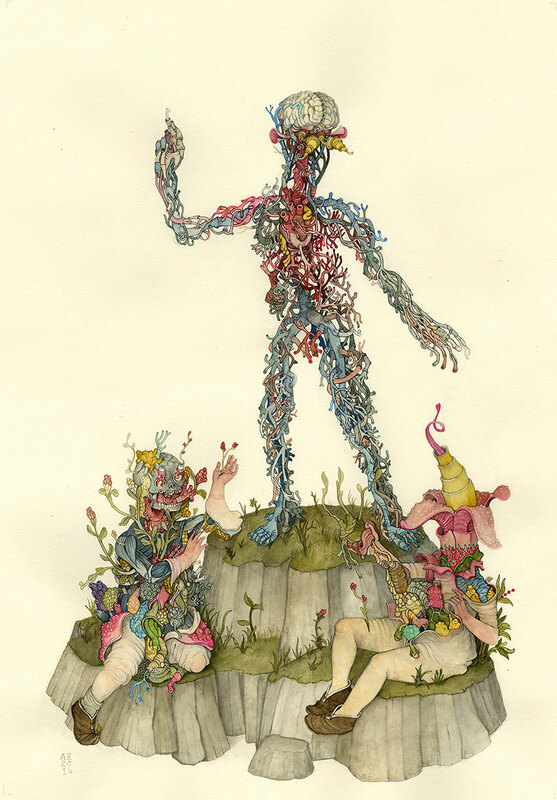 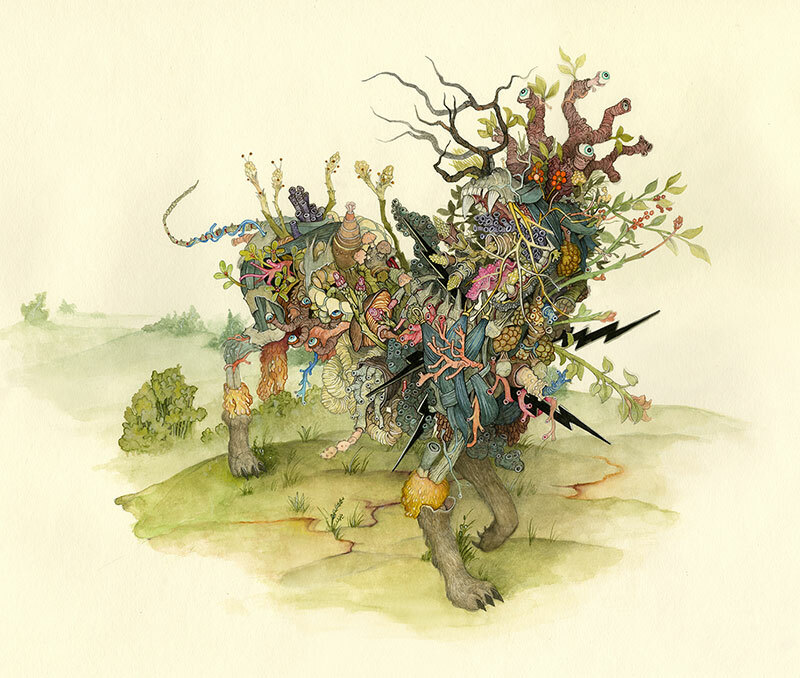 Describing the series as "a pile of guts," the illustrations blend floral and organic matter with figures from apocalyptic and satirical fairy tales that are "meant to creep people out on a certain level" but also offer "a thread of hope and optimism running through the narratives." 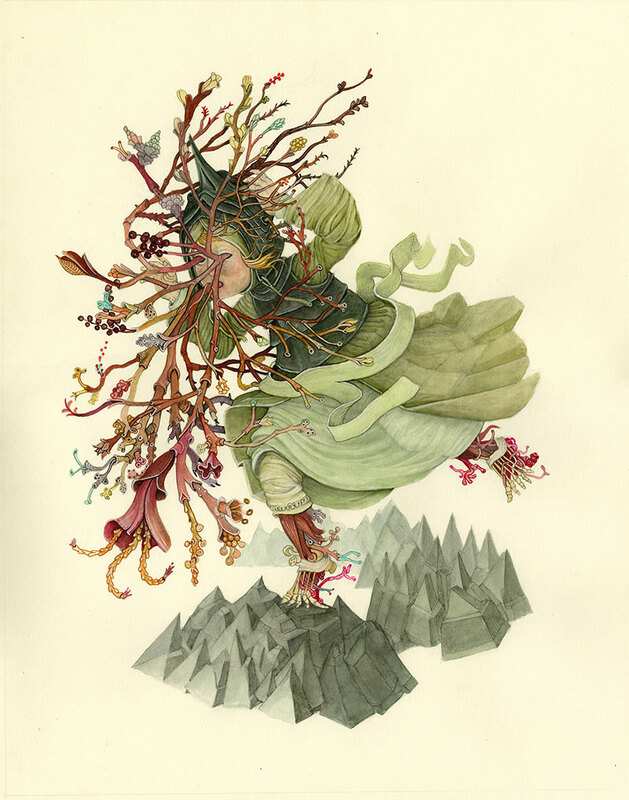 I think of them as playful investigations into the sometimes violent imaginings that are part of the universal experience of childhood. 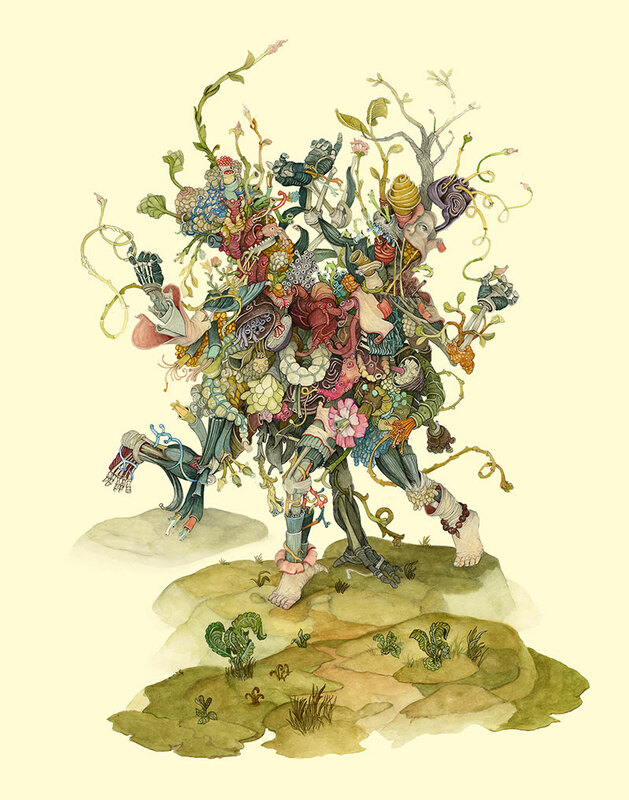 I’m specifically interested in how the longings and fears and dark stories from our early years inform our perspectives in adulthood and shape our grown-up anxieties and understanding about real-world, large-scale cultural, economic and environmental change. 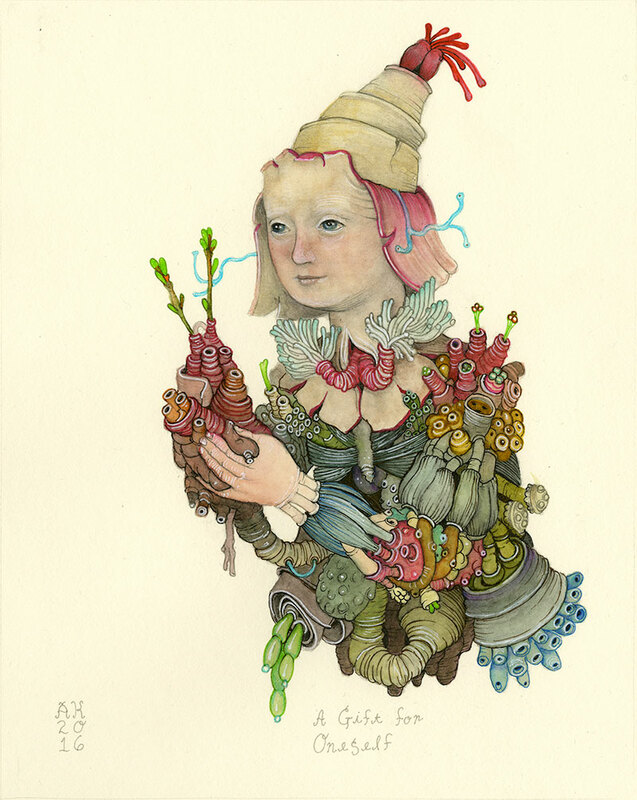 Mixed media illustrations of fairytale imagery with their innards exposed by Minnesota-based artist Alex Kuno.